The number of marine assistance calls to Sea Tow&apos;s nationwide 24-hour dispatch center during Independence Day weekend increased by 32 percent from 2010, according to Sea Tow. The number of assistance calls dispatched for Trailer Care, the company’s roadside assistance program, increased by 58 percent from 2010. The most common request for on-water assistance was for a tow because of mechanical failure, followed by fuel drops and ungroundings. Sea Tow Atlantic City and Sea Tow Cape May (N.J.), Sea Tow Freeport and Sea Tow Great South Bay (N.Y.), along with Sea Tow Central Texas, reported the highest activity levels in the network. • Sea Tow Capt. John Gridley, co-owner of Sea Tow Clarks Hill Lake (also known as Strom Thurmond Lake), near Augusta, Ga., saved the life of a boater. A severe thunderstorm occurred Monday, catching a 98-foot houseboat in “horrid conditions.” A 12-year-old boy who was wearing a life jacket was blown overboard. Two adults jumped into the water to help, but one of them was not wearing a life jacket. Gridley pulled the three from the water and took them to shore, where he and another person conducted rescue breathing on the adult, who had not worn a life jacket, until medical personnel arrived. 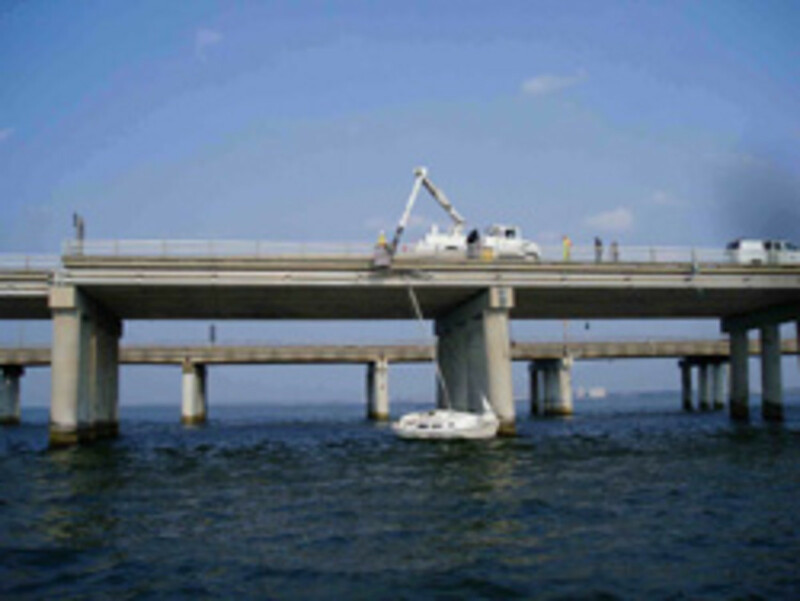 • Sea Tow Hampton Roads (Va.) responded to a call for assistance from local authorities to free a sailboat Sunday from the Chesapeake Bay Bridge-Tunnel. The mast of the boat became entangled between the bridge girders and high power lines that were secured to the bridge about a foot away from it. Sea Tow captains steadied the boat between the bridge and the lines while crews from the bridge-tunnel authority cut the mast to free the vessel. • Sea Tow U.S. Virgin Islands arrived in its 33-foot triple-engine RIB to work with the Coast Guard as an asset in responding to the grounding Monday of the Miss Royal Belmar, an 89-foot ferry. Ninety-eight people, including an infant, and four crewmembers were taken from the ferry to local authorities at Red Hook Harbor, St. Thomas.